Getting feedback from customers and users is one of the most valuable and effective ways to improve and evolve a product. Software teams have a wealth of quantitative usage data available to help them understand how users interact with their product. This data can help drive the product roadmap, but it doesn’t offer any qualitative insights such as why a user is doing what they’re doing, what they think about the experience, or what they need. This is where customer feedback tools come in to play. Collecting qualitative data from customers is crucial to the success of a product. It can mean the difference between a good product and a bad product. It can lead to cost savings, and it can result in happier, more engaged users. But talking to every single customer is rarely possible, and that’s why many companies are turning to user feedback tools to help collect feedback on a larger scale. Before we look at the top user feedback tools available, let’s talk about some of the features you’ll see in these tools. From light-weight widgets to robust reporting tools, user feedback tools come in all shapes and sizes. What matters most is collecting feedback at the right time, in the right way, and from the right people. All user feedback tools allow you to capture sentiments from your customers, but many of them go far beyond simply “capturing feedback”. Most feedback from users can usually be classified as feature requests or improvements. A good feedback tool will let end-users quickly and easily submit feature requests to the product team. By allowing users to submit feature requests, it not only gives the product team helpful data on what people are looking for, but it gives the customer/user a chance to voice their opinion. Duplicate feature requests add clutter and become difficult to manage, and this is a common problem within software teams. A good user feedback tool surfaces relevant existing requests in order to avoid duplicates. From there, the user can follow or vote for the existing request, giving software teams a single count of how many times people have requested a feature. While part of a good feedback tool is the end user experience, the other part, and perhaps just as important, is the admin experience. Product teams need to be able to take the data collected and organize it in a consumable way that leads to actions and business impact. Most feedback tools will let you tag individual pieces of feedback so that you can categorize them by product, difficulty, team, or any other classification you see fit. Strong data helps give the product team the information they need to make the best decisions. After you receive feedback, it’s important to acknowledge it and set expectations with the users so they know if and when their feedback/request is going to be actioned. Many feedback tools allow product teams to mark requests as “planned” or “not planned” and some tools even support publishing a public roadmap based on the feature requests received. Now, let’s look at some of the best user feedback tools available today. Aha! helps software teams build better products by focusing on the why, when, and what in product planning. It is a comprehensive suite of tools that helps product teams collect and organize feedback, strategize, and communicate product plans. Aha! is much more than just a feedback tool, but feedback is a big part of their product. UserVoice couples rich customer data with customer feedback so product teams can prioritize features and have a better understanding of the business impact of their decisions. Feedback can be logged by users or by internal team members. Some of their most attractive features include a feedback widget, analytics, and two-way communication so you can keep your customers in the loop. Keeping track of customer feedback gets harder as your company grows. Customers get frustrated when their feedback goes into a black hole with out any response, and software teams become confused and unsure why they’re building certain things. Canny is working to solve this problem with a simple way to keep track of which users want which features. Similar to UserVoice, you can also pipe in granular customer data to quantify product decisions. Features include status updates, user profiles, and reports. Feature Upvote gives users a voice by allowing them to submit feature requests and vote for existing requests. Product teams can easily see which features have the most demand, and they can mark completed requests as “done” so the customer is updated. Creating a product feedback page with Feature Upvote takes two minutes, and each page can be customized and branded. Fider is a free open-source customer feedback tool. They offer a hosted version and an on-premise version. Fider lets you update customers when you start, complete, or decline an idea. Authentication options for end-users include Facebook, Google, or GitHub. When using the hosted version, you can use your own domain and even get a free TLS certificate to help keep the page secure. They support public and private tags so you can keep your requests organized. ProdPad helps product managers be the best they can be by creating roadmaps everyone understands. Their main features include product roadmaps, ideas, customer feedback, and product portfolios. Idea scoring lets product teams rank features based on impact and effort. Customer feedback and ideas are tied together so that feedback you receive drives the ideas. Many products are built based on gut decisions. Receptive aims to change that by helping product teams understand what’s important through capturing feedback. Their roadmap tool let’s you tell customers what’s planned and what’s coming next. Integrations with Zendesk, Jira, and Salesforce mean you can automate a lot of work like logging feature requests from Zendesk, or creating Jira issues based on feedback. Reading through user feedback takes a lot of time. But implementing Qualaroo is simple, and once you’re up and running you can take advantage of their advanced sentiment analysis feature. This artificial intelligence engine helps you make decisions in real-time based on the feedback collected. Through key word analysis and emotional scores, you can make sure you’re creating the perfect experience for your customers. Survicate is a simple but powerful survey platform offering solutions for targeted website surveys, email surveys, net promoter score surveys, web app surveys, and mobile surveys. Their integrations allow you to pipe data from the surveys into other tools like Intercom, Salesforce, and many more. No matter where your users might be, you can use Survicate to capture feedback about your website or product. UserResponse is an all-in-one help desk and community management solution. Their products include a help desk, live chat tool, knowledge base management, and feedback capturing. Their feedback tool helps product teams understand what’s important to customers by letting customers submit ideas, questions, and problems. UserResponse is a flexible platform for teams looking for a feedback and customer management tool. Listen. Act. Analyze. This is what Wantoo helps software teams do. Wantoo is a slick and simple tool that focuses on one thing: user feedback. Popular requests bubble up to the top, and less popular requests stay at the bottom. You can close the loop with customers using one of their integrations including Zendesk, Salesforce, Twitter, Slack, Trello, and Jira. Customers love to have a voice. User feedback tools give them that voice and give your team re-assurance that what they’re building is what the customers want and need. Too many software companies leave customers in the dark by receiving feedback and never acting on or responding to that feedback. 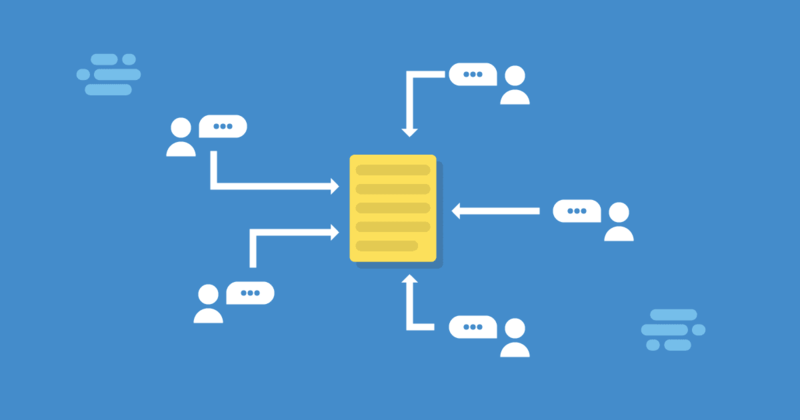 Implementing a user feedback tool closes the loop between the customer and the product team.